Binance Jersey Review 2019 - How safe is the new fiat-crypto exchange? Binance is a landmark in crypto world and their fiat-crypto exchange is expected to fit in perfectly in their immaculate track record of serving crypto community trading needs. There’s not much we can say about Binance that hasn’t been said before; with hundreds of currencies on their portfolio, a native exchange token that remains resilient to bear markets, never-before hacked security measures, an OTC trading desk, an in-house built wallet, and a launchpad for up-and-coming blockchain projects, the platform is currently one of the leaders in the world of centralized cryptocurrency exchanges. Changpeng Zhao’s ambition clearly doesn’t end there, and his latest project called Binance Jersey aims to give his exchange a new Europe-based fiat-to-crypto dimension. 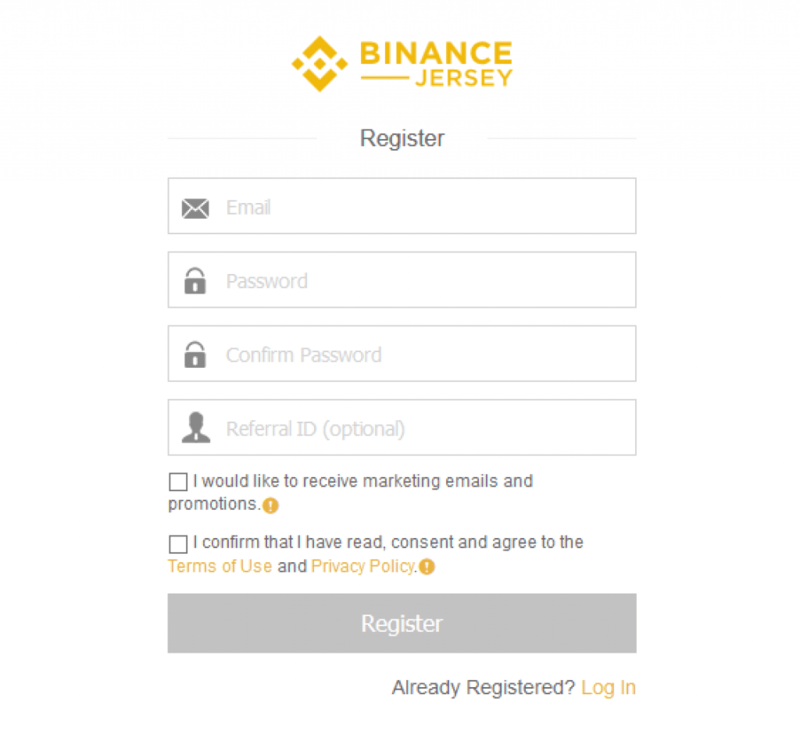 Binance Jersey came about as a result of an MoU signed between the platform and Digital Jersey, an organization representing Jersey island’s interests in digital industries. Clearly the MoU has been successful, as the exchange is currently up and running. Digital Jersey will make sure that the exchange stays compliant to all relevant banking and licensing requests that come with running a fiat-to-crypto exchange like Binance Jersey. Digital Jersey has the support of the Island’s Government and the Financial Services Commission when it comes to the development of the blockchain in fintech and also in the growth of local talent. The collaboration will see Binance and Digital Jersey work together to promote blockchain technology in Jersey and all over Europe. Binance Jersey is a subsidiary of Binance which allows European residents to perform fiat-to-crypto purchases of cryptocurrency. The platform came to life in mid-January of 2019, some months after Binance opened a similar subsidiary for the African continent, called Binance Uganda. The CEO of Binance, Changpeng Zhao, hinted in the past that strengthening the infrastructure supporting fiat-to-crypto exchange will be an important task for future crypto markets. He definitely isn’t wrong there; making it easier for retail investors to purchase their first cryptocurrency is a crucial element of bringing crypto closer to the mainstream audience. As the name clearly implies, Binance Jersey is situated on the island of Jersey, a Fintech paradise with a recently developed taste for blockchain projects for some and a tax evasion haven for others. The exchange operates within the framework administered by the Jersey Financial Services Commission, aiming to provide a secure and stable trading environment suitable for individual and institutional investors alike. This naturally means that no anonymous traders are allowed on the platform; Binance Jersey requires you to perform a full KYC account verification before you are allowed to start trading on it. From the technical side, the project is built on top of the well-oiled Binance platform. Some will argue that its centralized structure is a potential issue; others will point out that such structure is responsible for Binance’s spotless security record and its ability to process 1.4 million orders each second. The interface is basically the same to the one you’ll see with the regular Binance exchange. It’s a simple, easy-to-get-used-to setup offering basic and advanced overviews that look similar but offer different levels of data/tools. Basic overview offers the standard features such as the order box, trading history, available markets, while the Advanced screen contains more detailed charts and a range of popular technical analysis indicators. You can access the exchange either via your computer browser or through a mobile device. Orders can be made to either buy or sell crypto/fiat. 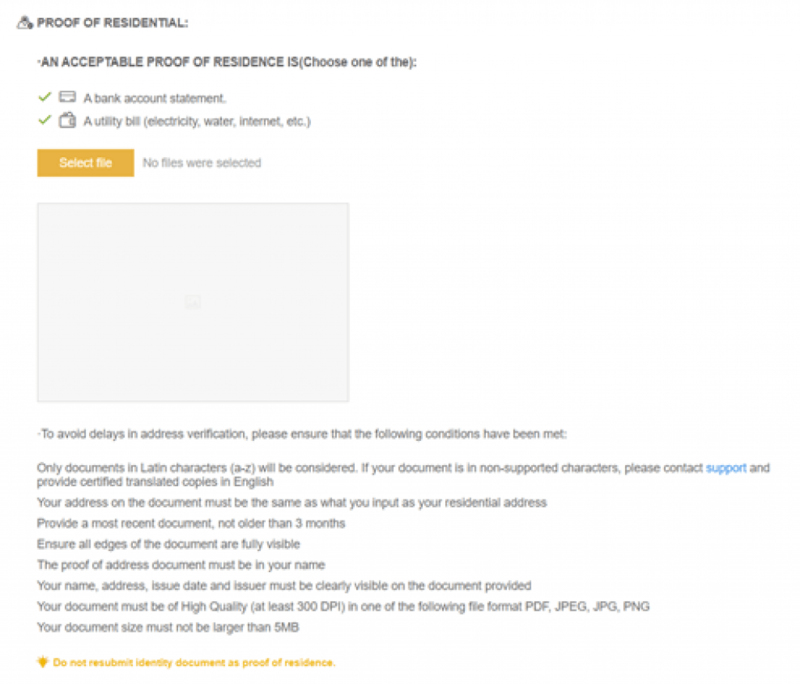 This is just a basic rundown of what you’ll need to do to register an account; additionally you can visit this link for an in-depth guide on how to become a fully-verified Binance Jersey user. The exchange previously ran a referral/reward program which offered to gift $20 USD to first 5000 users that register on the platform by January 31st of 2019. Once your account is ready to rock and roll, you can start depositing either crypto or fiat onto it to start trading. 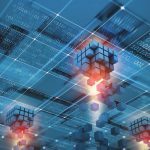 The exchange provides instructions on how to make both fiat and crypto deposits in their “support” section. Once your deposits are made, you are free to start trading in one (or all) of the 4 trading pairs that are currently available. It is recommended that users from countries that aren’t listed above don’t attempt trading on Binance Jersey, as they might end up losing their funds. Looking at the fee structure, we can see that Binance Jersey does command a premium when it comes to fiat transactions. The withdrawal fees seem especially egregious and could drive away traders from cashing in on smaller amounts of crypto. Crypto trading/withdrawal fees are similar to what you have on the regular Binance exchange and don’t deviate much from the industry standards. Binance Jersey claims that the exchange offers world-class, 24/7 live support to any users that are experiencing issues with the platform. While we are yet to see a significant volume of complaints, if regular Binance support is anything to go by we can expect the quality of this service to be on a satisfying level. Additionally, all KYC requests are processed swiftly (within 24 hours). Never install any browser plug-ins that claim to be associated with Binance Jersey (except Netcraft Anti-Phishing Extension). Never make any phone calls to anyone that claims to be a Binance Jersey Support Representative. 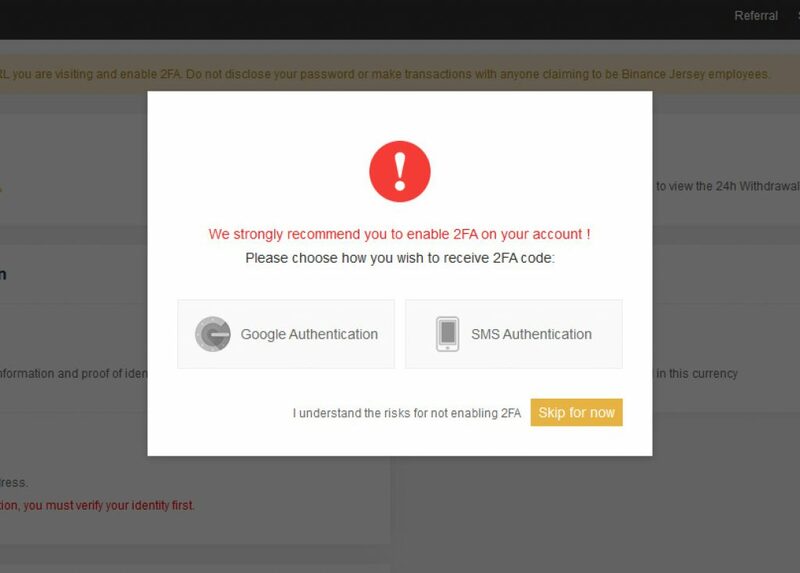 Never tell your password or 2FA codes/keys to anyone, including Binance Jersey Support. Never send funds to anyone claiming to be a member of Binance Jersey Support. Never give your account password to anyone. Crypto community has struggled with many issues so far, but having a legitimate way of transferring funds from fiat to crypto and other way around has probably been the most significant one. Binance Jersey offers a solution to this issue; while the solution may be a pricy one at times and isn’t as transparent as some would like it to be, it does offer the pedigree of one of the safest exchanges on the market to justify that. Overall, Binance Jersey is a new, beginner-friendly fiat-to-crypto bridge that should satisfy the needs of everyone but the most advanced users and ultimately ensure a healthy influx of fresh capital into the world of crypto. 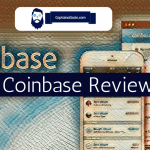 Coinbase Reviewed - How Safe is Coinbase to Buy Bitcoins in 2019? Tron's BitTorrent (BTT) already recorded the highest volume in Binance after just one day. Is it worth looking into it?